A storm that could bring "significant" snow, freezing rain and strong winds is expected to sweep through the city on Tuesday, Environment Canada said in a special weather statement on Sunday. Don't put away the shovels and long johns just yet — another winter storm is headed our way. A storm that could bring "significant" snow, freezing rain and strong winds is expected to sweep through Toronto on Tuesday, Environment Canada said in a special weather statement on Sunday. The wintry blast could affect travel in a big way, the federal weather agency added. The white stuff is expected to arrive on Tuesday morning. It could then turn into ice pellets and freezing rain and continue to fall for a few hours. The precipitation is expected to turn back into snow by Tuesday night, as colder air settles over the city. The snow is forecast to taper off to flurries on Wednesday. Environment Canada said the total amount of snow and ice pellets could range from five to 15 centimetres, along with ice buildup from freezing rain. If the snow doesn't turn into ice pellets and freezing rain, however, total snowfall amounts could be higher. A low pressure system is currently brewing over the southern U.S., which may intensify into a winter storm as it moves over Southern Ontario on Tuesday, the agency said. "How much snow and freezing rain a region receives will depend on the exact track of the low," Environment Canada said. 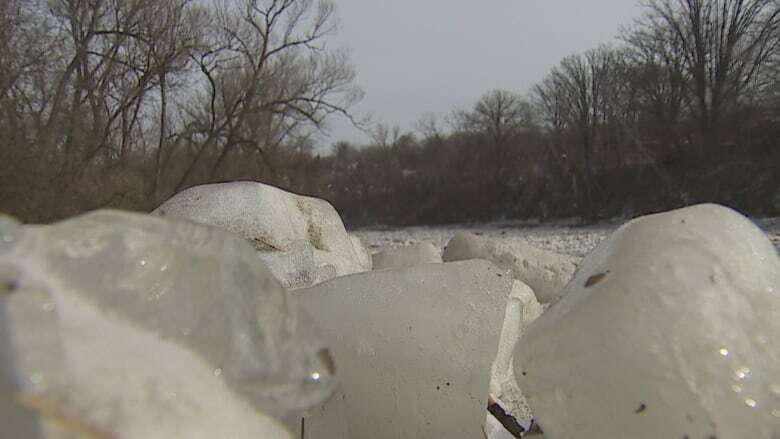 Meanwhile, an ice jam on the Lower Humber River has residents flocking to the area near the Old Mill to take pictures and gingerly walk out on what used to be flowing water. Ice jams form when large pieces of floating ice start to accumulate and block the flow of the water. 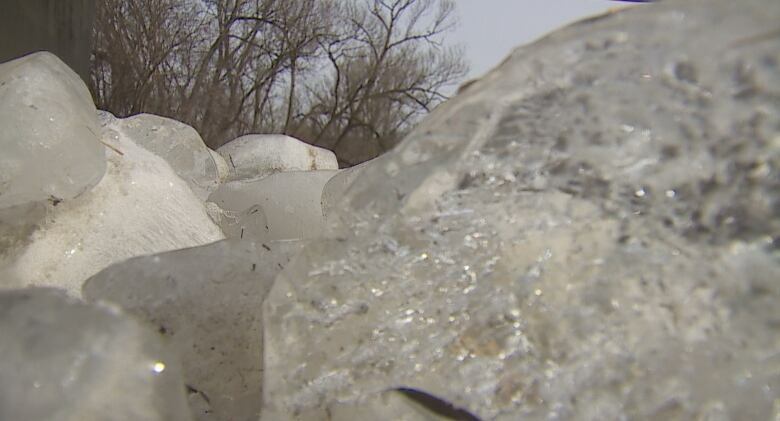 While ice jams are not uncommon late in the winter, the massive chunks in the Lower Humber are catching residents' attention. Colin Parrott lives near the Old Mill and took his dog for a walk along the river on Sunday. He called it a "challenge" to walk out on the ice jam. "I just kind of thought, 'Wow, look at that,' and thought that we don't often consider the power of raw nature enough," he said. "So it's neat to see it in action."